Zevrix Solutions announces LinkOptimizer 4.9.36, a maintenance update to its workflow automation solution for Adobe InDesign. LinkOptimizer allows users to reduce the size of InDesign links and speed up processing by automatically eliminating excess image data, performing essential image adjustments and converting file formats. The new version improves the reliability of Photoshop image processing and addresses some issues related to settings presets management. 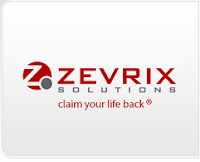 Toronto (ON), Canada (April 27, 2015) — Zevrix Solutions today announces the release of LinkOptimizer 4.9.36, a maintenance update to its workflow automation solution for Adobe InDesign. Awarded 4 out of 5 stars by Computer Arts magazine, LinkOptimizer automates complex image manipulation tasks allowing to significantly reduce the size of InDesign links, save processing time and reduce production costs. -Fixed an issue in which InDesign links could not be resized when Photoshop opened files from its autorecovery folder on launch. -Improved reliability of settings presets management. -Fixed an error that could occur when selecting a settings preset under certain conditions. -Improved memory management and other minor fixes. At the end of processing, LinkOptimizer will reimport images to InDesign at 100% in their precise position. As a result, users can save gigabytes of disk space, accelerate document output, reduce job turnaround and cut costs through faster processing. LinkOptimizer can be purchased from Zevrix website for US$259.95 (Light version: $179.95) as well as from authorized resellers and Adobe Exchange. Trial is also available for download. The update is free for LinkOptimizer 4.x users and $130 to upgrade from previous versions. LinkOptimizer requires Mac OS X 10.6-10.10 and Adobe InDesign and Photoshop CS3-CC 2014.